shortcakesgoodeats – Page 2 – It's All About My Stomach! Katharine Hepburn Loved Mondel’s Chocolate! A very dear friend of mine recently sent me a beautiful gift for Christmas, a box of chocolates from Mondel’s. This place slipped by me and although it has been family owned since the 194o’s, I hadn’t heard of it before. Located in Morningside Heights, it is a little out of the way but I intend to check it out soon. My friend said the staff was very accommodating, friendly and helpful. The box of chocolate arrived the day after the order was placed. The two pound box was a golden box which is a beautiful present. The chocolate was fresh and the assortment had my favorites such as nut clusters, caramel and dark chocolates. Gentlemen, Valentine’s Day is around the corner. If you want to impress a lady love present her with a delicious and well thought out gift, a box of Mondel’s chocolates. J’adore le chocolat! I love preparing party platters for people. Today I went to my friend Renee’s house for brunch. I made the antipasto platter from cheeses I got from The Village Cheese Shop in Mattituck and meats from Fairway in Westbury. I married an Italian so pepperoni and salami are always a necessity on a holiday. Preparing a platter takes time but worth the effort. I buy cheese leaves from Sur La Table and place them on big inexpensive platters I purchase from Home Goods. I think presentation is everything and looking at a well presented appetizer makes people want to eat more. Sure, you can go to Costco or Stop and Shop and purchase the same old Hormel pepperoni and Ritz cracker tray but if you want something special call me. I can help you organize a great party. Bon Appetit and Bon Annee. New Places Popping up in LBNY! Since Hurricane Sandy has devastated my small town of Long Beach, NY it has been hard for both local residents and business owners to make a comeback. The high price of rebuilding, elevating homes and increases in flood insurance have contributed to a change in my community. Only recently have I begun to see new businesses opening and one area in particular that was hit the hardest is making the biggest comeback, The West End. I have discovered some amazing new restaurants in the West End. Last week I had a delicious dinner at Grotto del Fuoco located at 960 W. Beech Street. The menu is inventive, fresh and the thin oven fresh pizza is the perfect ending to a day spent on the beaches of Long Beach. 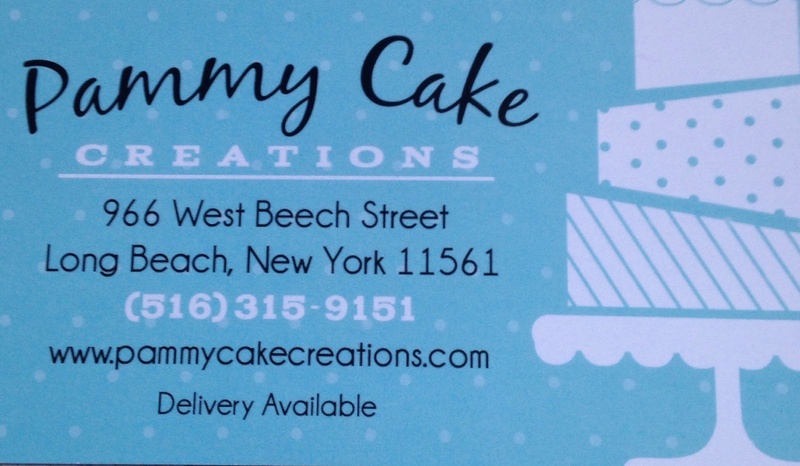 After going for dinner at Grotto, stop by next door at Pammy Cake Creations. If you missed the deconstructed apple pie after your pizza bring home a cupcake that is a serious work of art. She makes the most beautiful cupcakes that look like sand was sprinkled on top with iridescent seashells and starfish. If you live in the New York City area, this summer come visit us at the beach. From Penn Station to LB it is only a 50 minute ride on the Long Island Railroad. 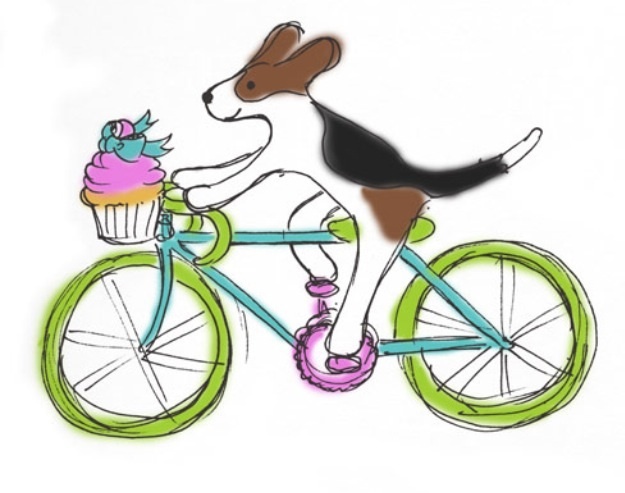 I’ll be the one with a bike basket filled with cupcakes. I love this new bakery! One of my favorite parts of an evening stroll in Paris was going to Amorino Gelato. I have since discovered that they have opened in the Chelsea area and am waiting for the first warm day to get in line. Although this is a chain, the gelato is a work of art. 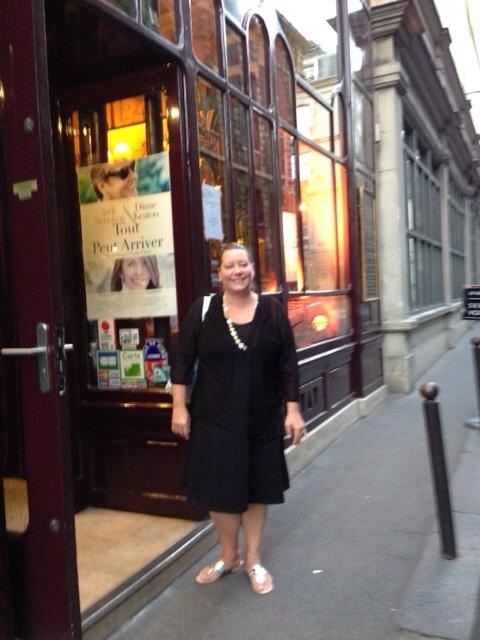 One warning about traveling to Paris….. hold on to your handbag. While I was face down in my crepe and my husband was devouring his salad nicoise, someone was cutting my cross body bag strap. We lost our credit cards, money and passports. Imagine going to Paris and having to then stick to a food budget? C’est la vie. I’ll travel anywhere for a great meal! Thank you for stopping by my blog. This is my first attempt at blogging so go easy on me. About me…. I am an elementary school teacher in the New York City area that has a passion for the culinary arts. I’m the “go to” person for when you need a restaurant suggestion or the perfect ingredient to complete a recipe. Most of my weekends are spend browsing around small independent food shops or getting lost in the aisles of Fairway. I think the small shops are lost in a sea of bigger chains but I will search them out and give my opinions. Last summer I traveled to Paris to enjoy the sights and foods of France. I thought the best thing about Paris was how all the Parisiennes chose their dinner menu based on what was fresh that day. In many of the neighborhoods there were small cheese stores, butcher shops and open air markets selling fresh produce and breads. People walked around with bread under their arms like people carry a Louis Vuitton bag in Manhattan. The French are serious about their food and so am I.